Panagiotis Paiteris is a male goalkeeper from Greece, who has been playing for Larissa in Greece since August 6, 2018. Since Panagiotis Paiteris came into world in 1996, to be more precise January 15th, the goalkeeper is four years younger than Larissa's average player. He is currently tenth in Super League (Greece) and second in group Gr. 8 of Greece Cup (Greece) with his team Larissa. Until now, he has not been present in a game. Panagiotis Paiteris plays with the jersey number 12. His shortest stay in a club has been nine months in his present-day squad. To date, collectively he holds three penalties, of which one is red. Lately, he seems to be more quiet since less penalties were given to him than usually. Prior to joining Larissa, Panagiotis Paiteris only played for semi-professional local teams. He reached the 23 appearances milestone as a professionl, the last one being 322 days ago. With each day at Larissa, he is extending his personal record stay with a club which counts one year and 31 days for the time being. 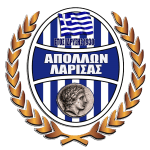 In terms of winning, Panagiotis Paiteris's team was able to do so in only 20% of Super League's and in 67% of Greece Cup's matches. 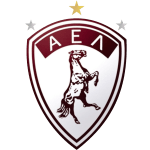 Besides Panagiotis Paiteris, there are three more goalkeepers in Larissa's lot: Ogmundur Kristinsson, Stefanos Souloukos and Davor Taleski.